Weather's quite freezing this morning that made me have this intense craving for... Chicken Joy. LOL. Obviously, I didn't end up eating that. I had this brilliant idea just before I was about to hop off the bus on the way home -- have breakfast dinner (for those working in the graveyard shift like me) at Yellowcab! There are some days when I am such a sloth, I'd rather have food delivered at my doorstep, and then there's rare occassions like today. 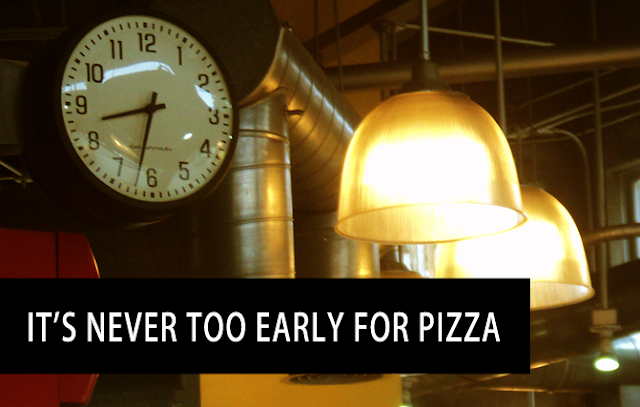 Why not Yellowcab, right? Last time I've been there, they're already serving breakfast for those early birds (or nocturnal creatures. hehe.) Called up the bestfriend to meet me there ASAP! We ended up trying this one, it was something new and it looks fairly delicious. It was good for 1 person but I think it's good for sharing, too. 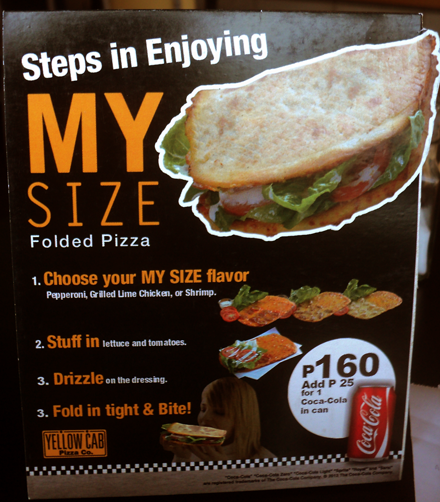 I honestly thought that a folded pizza was a clever, original and great idea. Good job, Yellowcab! Our flavor of choice was Shrimp and we followed the easy steps stated above. Hahaha. 1. Choose 2. Stuff in 3. Drizzle 4. Fold! Oh, we didn't had the bite part of the 4th step. Hahaha. We split this into two because we're both really stuffed because of the pasta and calzone... and chicken. Haha. The dressing was really delicious, we even dipped our chicken wings on the pizza dressing! 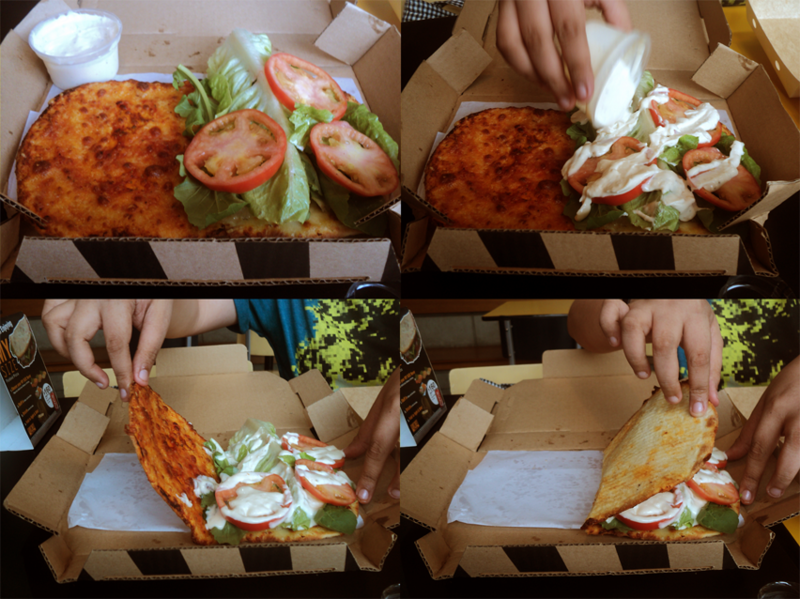 It think it's a clever way of serving pizza, you can order the pizza to go in this fashion without the mess. I highly recommend it for those who are craving Yellowcab's delicious pizza but would have rather it to go! Other flavors available: Pepperoni, Grilled Lime Chicken and Ham Salami & Egg (breakfast variety).